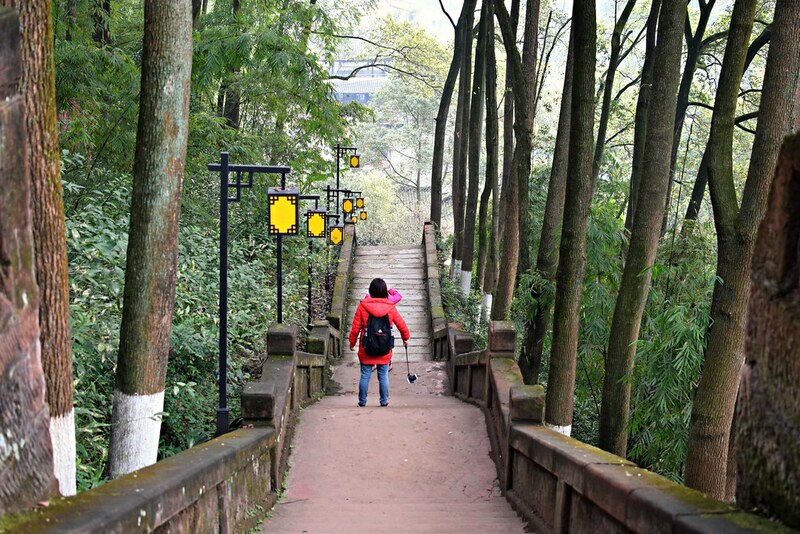 When I arrived in town, luggage in tow, I strolled the gorgeous riverside walkway leading to my hostel. 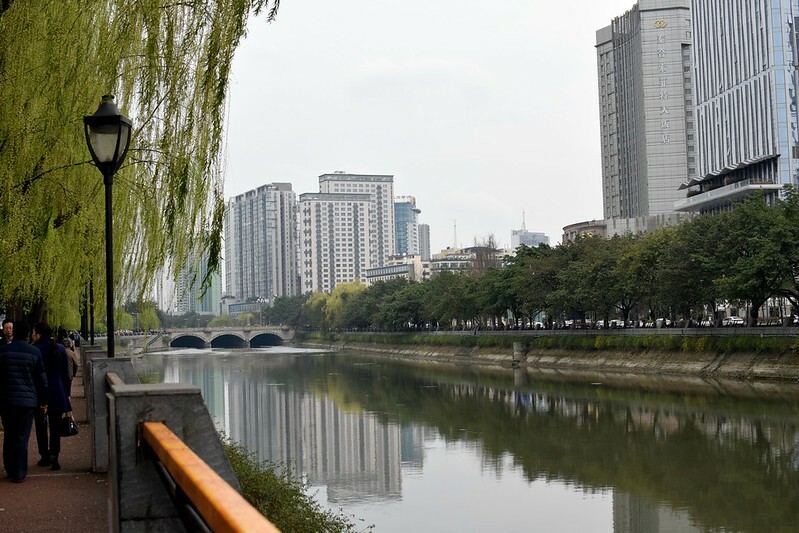 The river snaked through the city, where locals were taking a stroll and riding their bicycles. 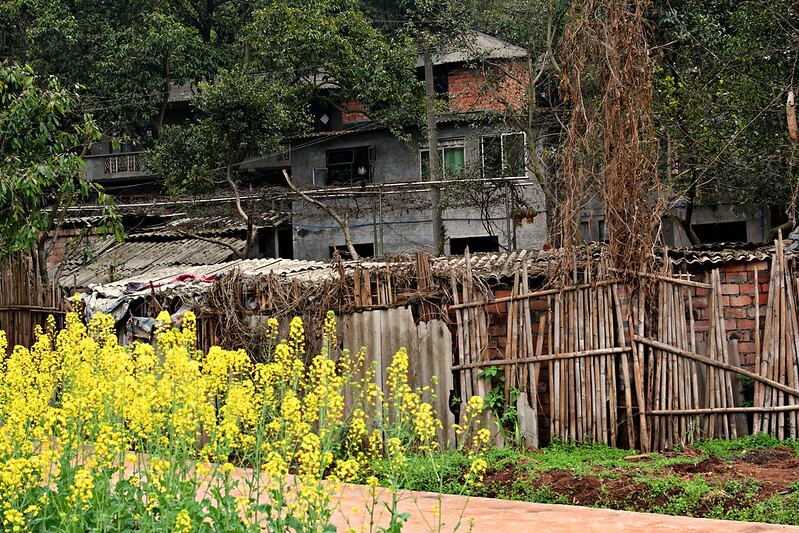 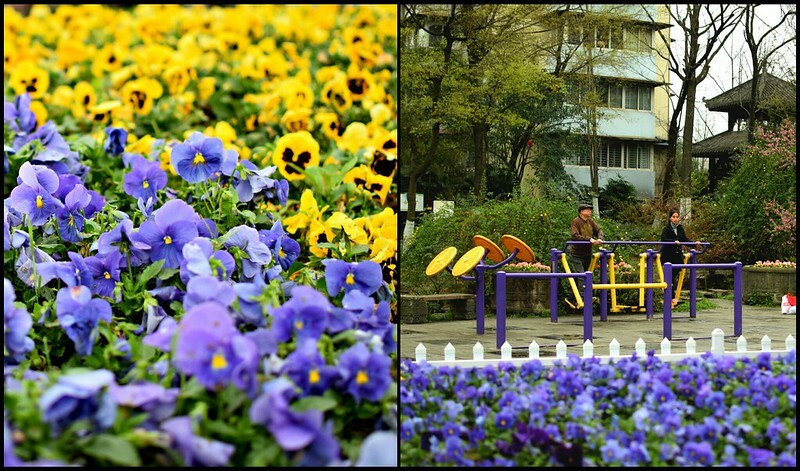 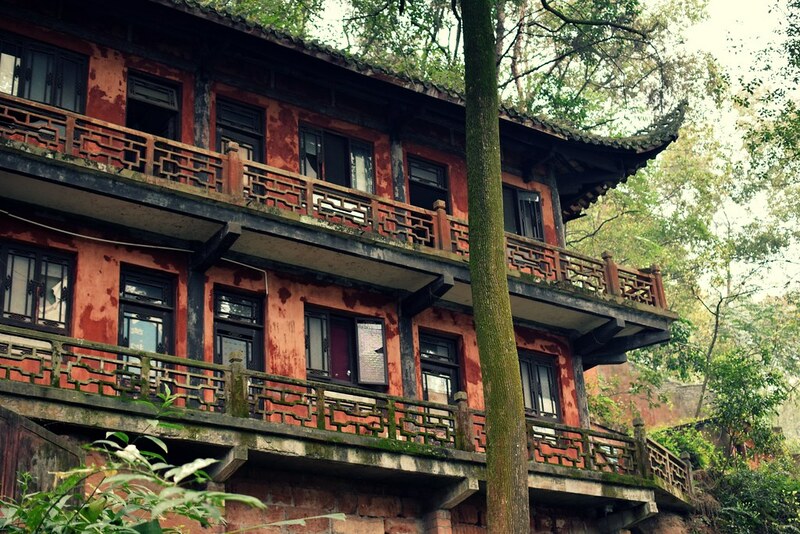 While in Chengdu, I stayed at Mrs. Panda Hostel, which had nice amenities, and only cost 5 USD per night. 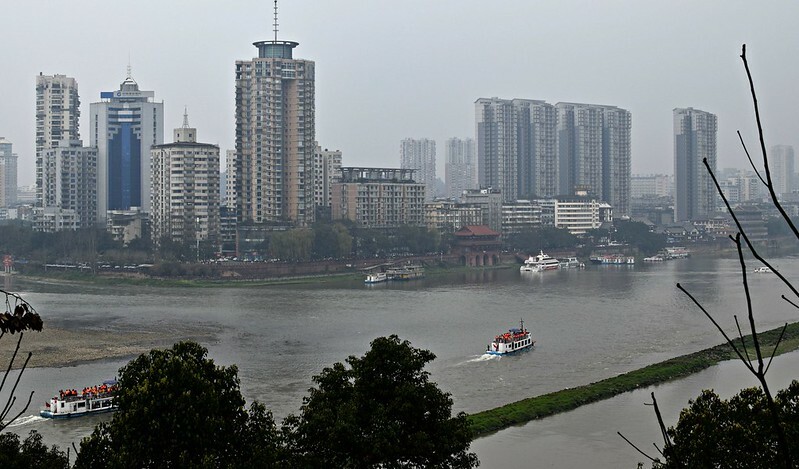 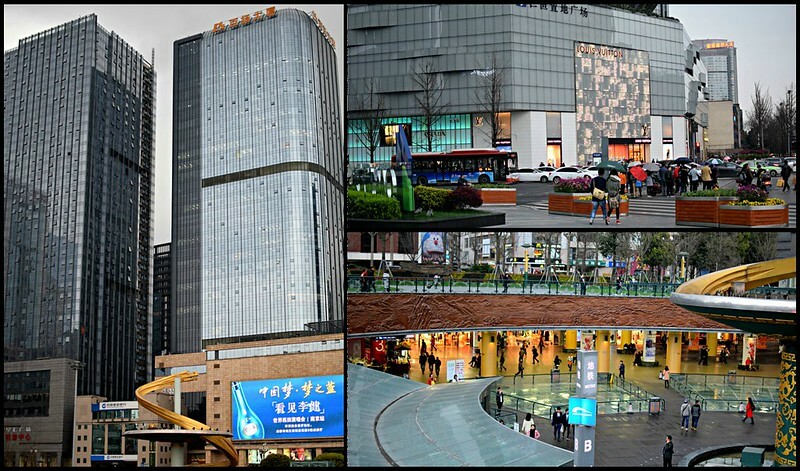 Chengdu may not be small, with a population over 10 million, but its wide streets and towering buildings felt spacious, and reminded me of stunning New York City. 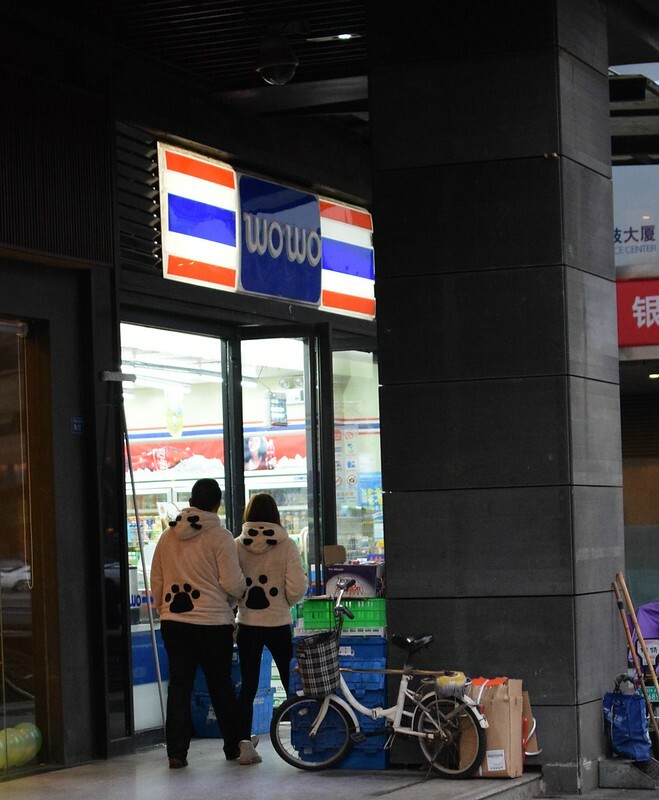 A couple of panda lovers strolling the streets. 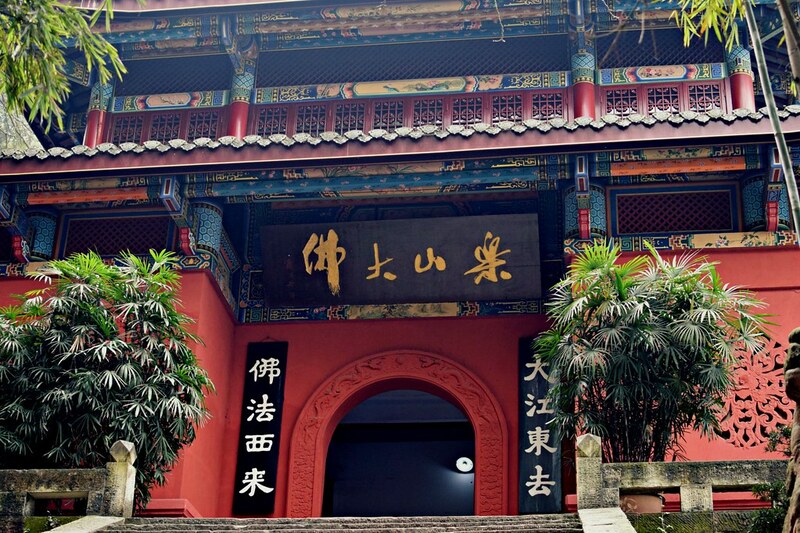 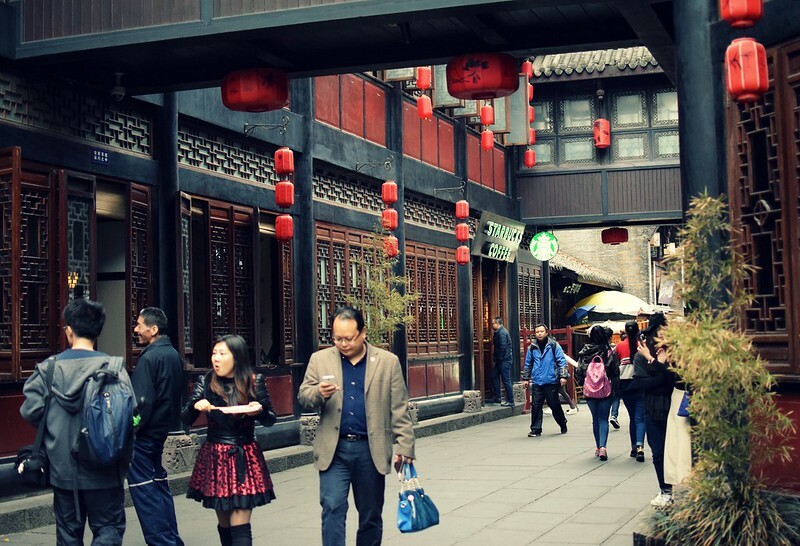 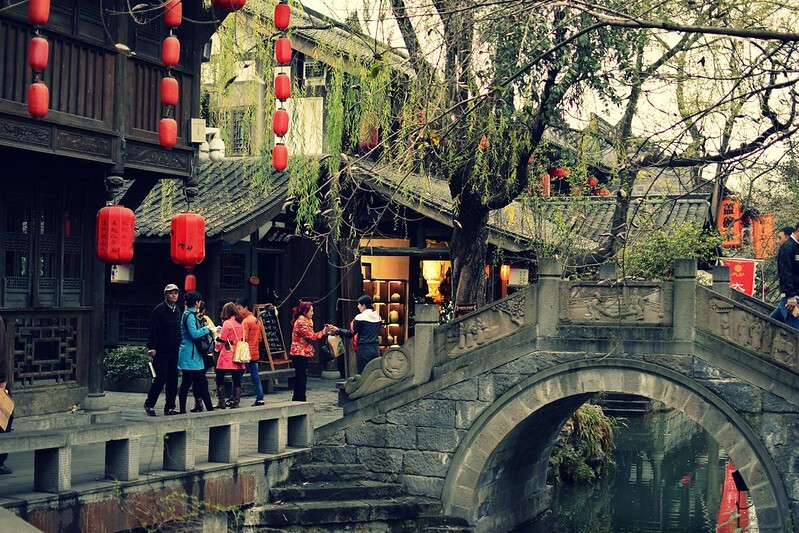 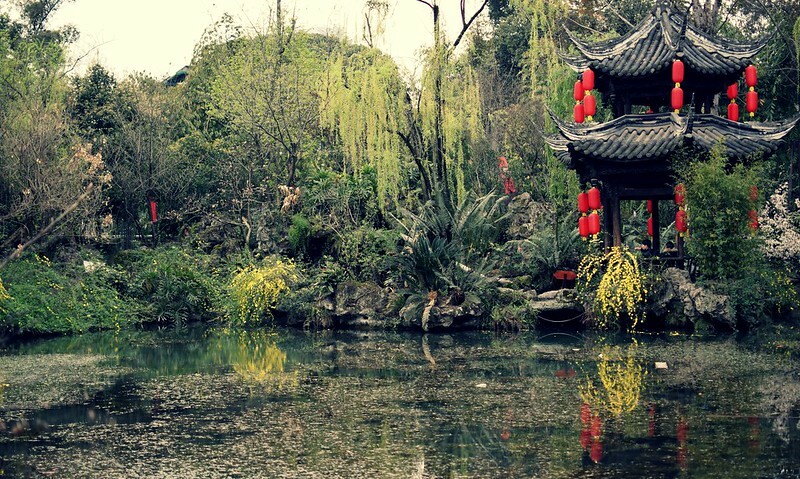 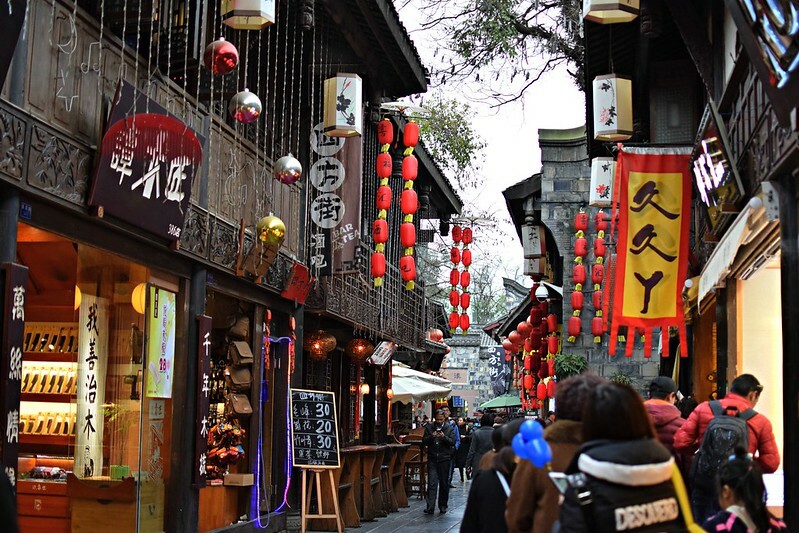 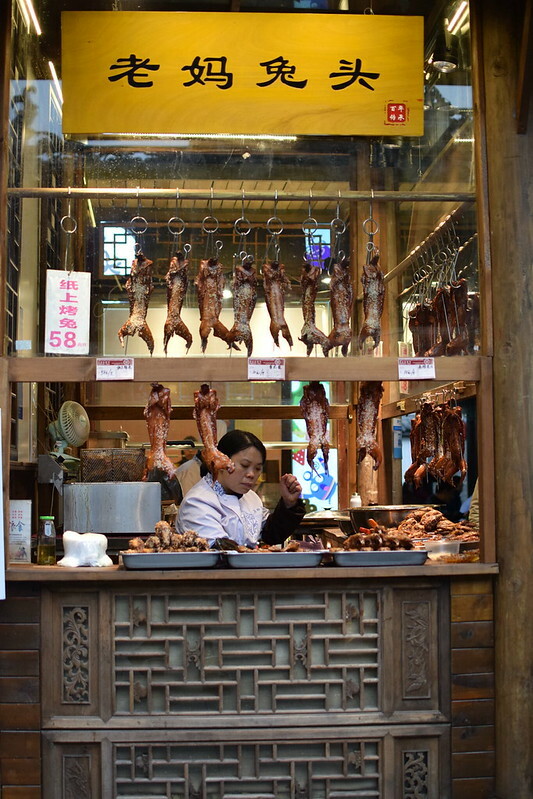 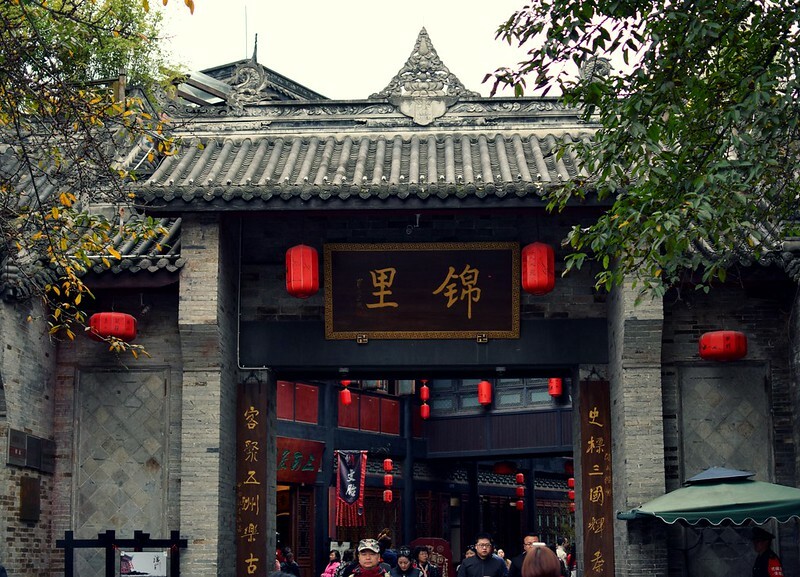 ❤ Now, downtown Chengdu may be modern, yet nearby the city center is Jinli Ancient Street, a pedestrian alleyway known for preserving traditional Chinese culture. 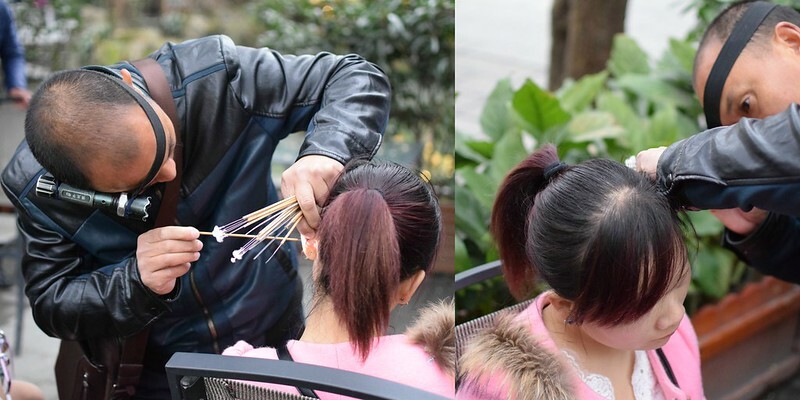 This intricate wax removal is unique to Chengdu, and involves an array of equipment, including feather-tipped probes, tiny scoops, and even a vibrating metal rod to create a sensation a bliss. 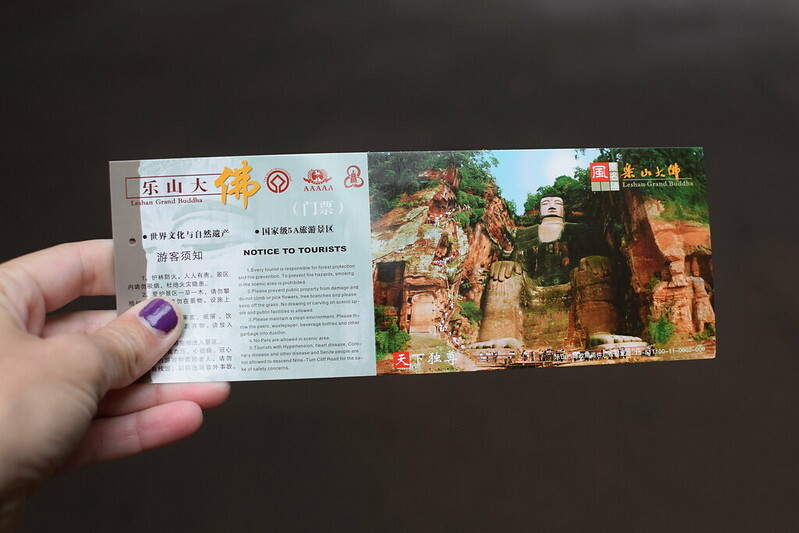 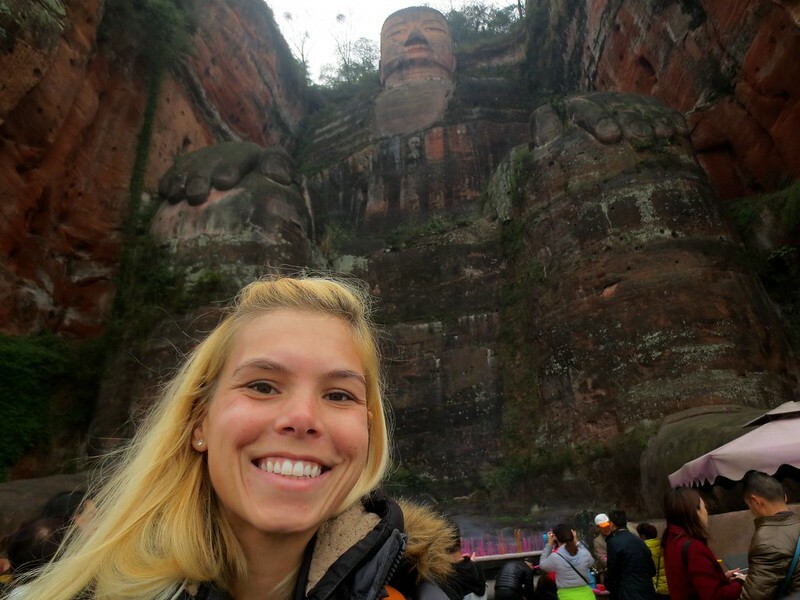 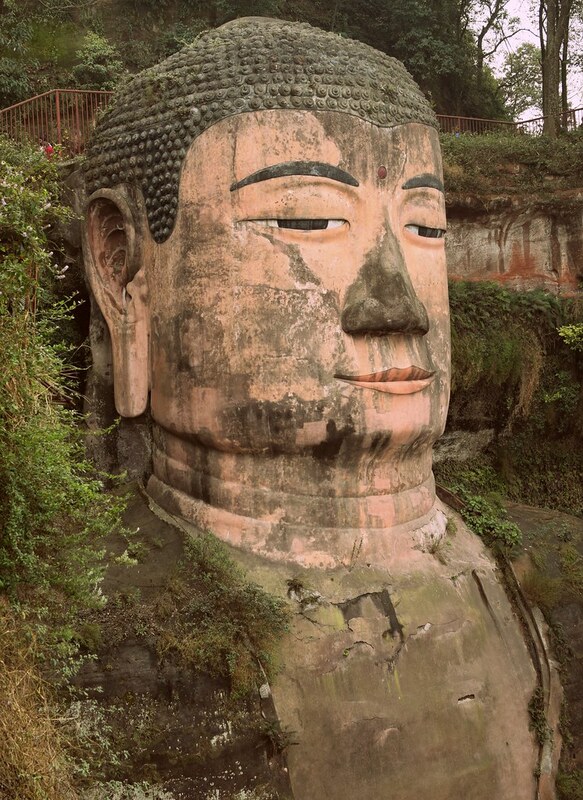 On my final day in Chengdu, I took a local bus to the town of Leshan, to visit the world’s largest stone Buddha. 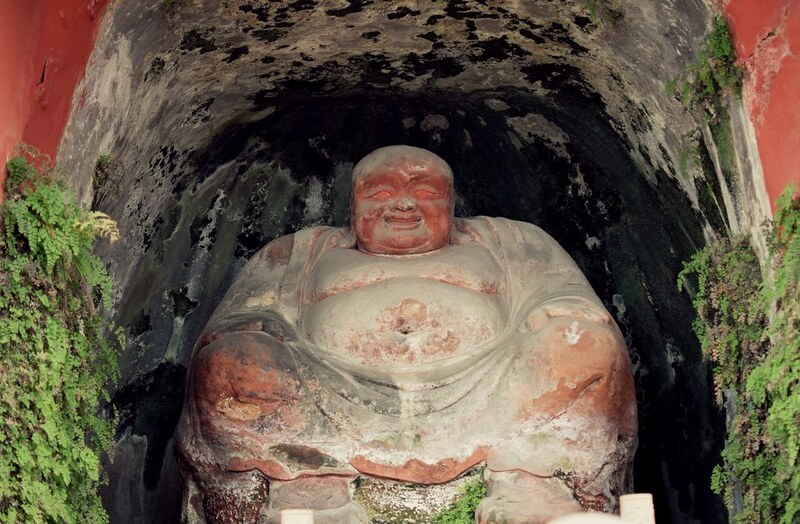 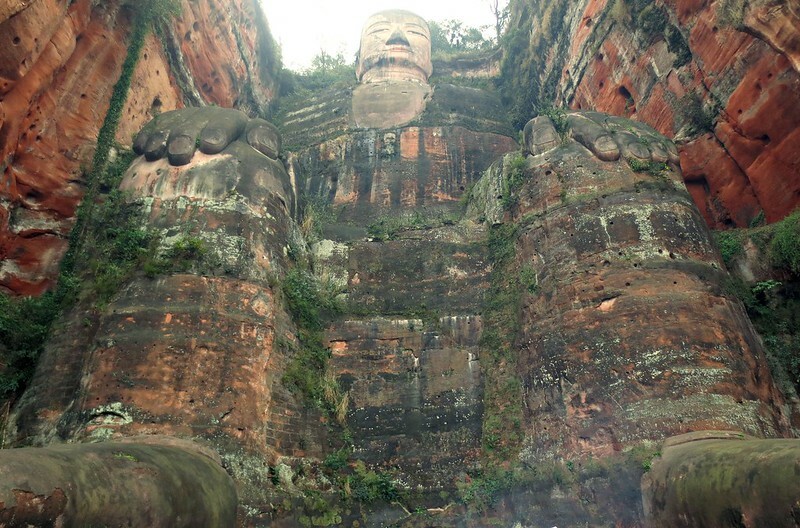 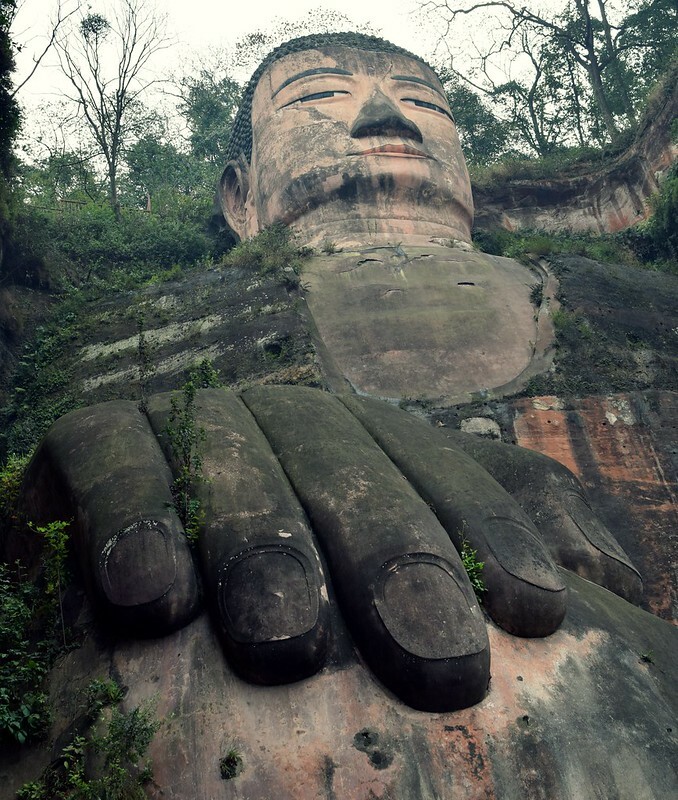 The Leshan Giant Buddha is nearly 250 feet tall, and rightly stands as the largest stone Buddha in the world. 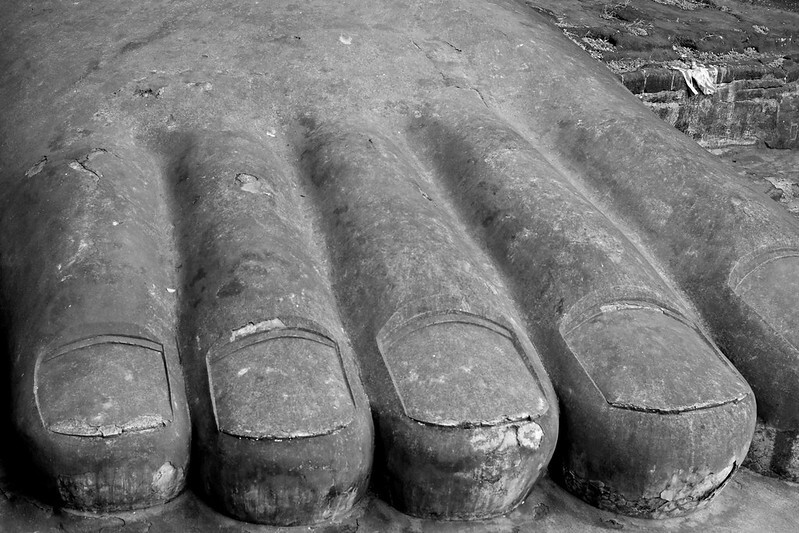 Supposedly, one foot is large enough to accommodate 100 standing monks. 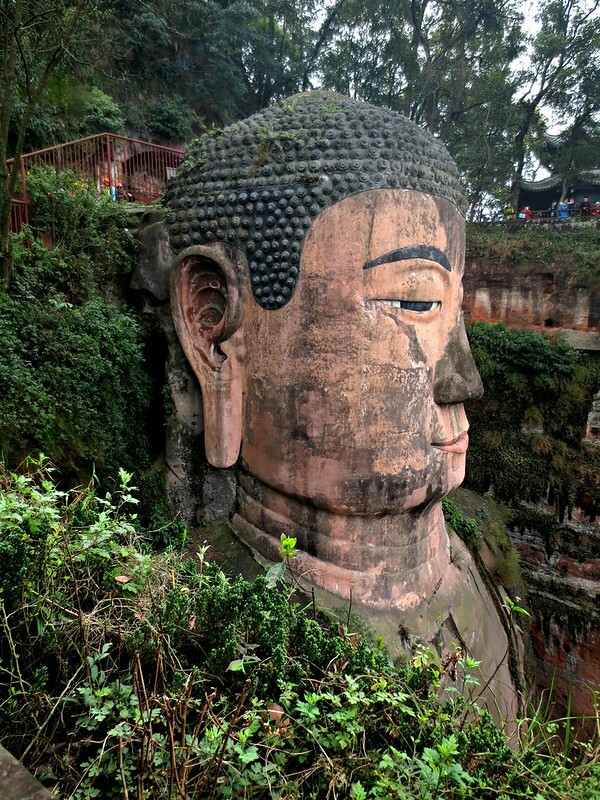 Its architecture is truly stunning, with over 1,000 spirals making up the Buddha’s locks, and dangling wooden ears, large enough to shelter two whole people. 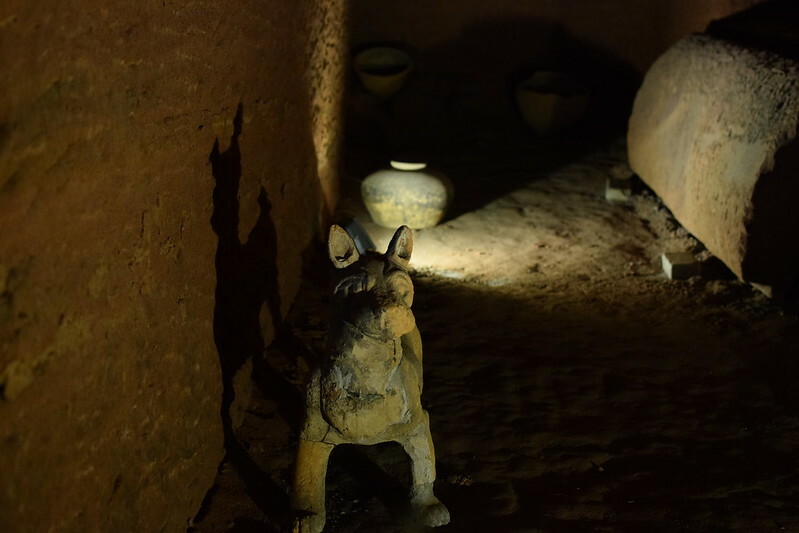 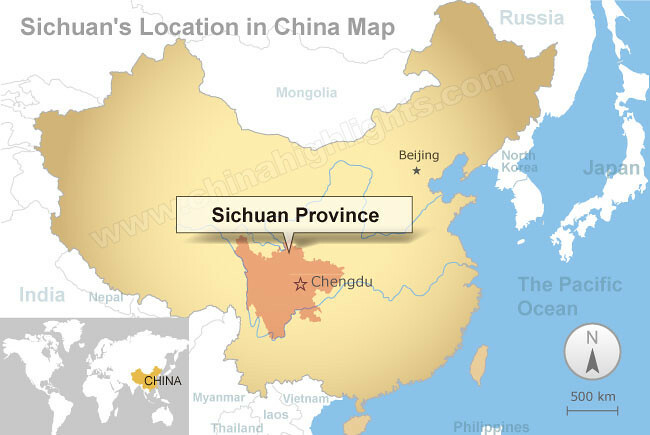 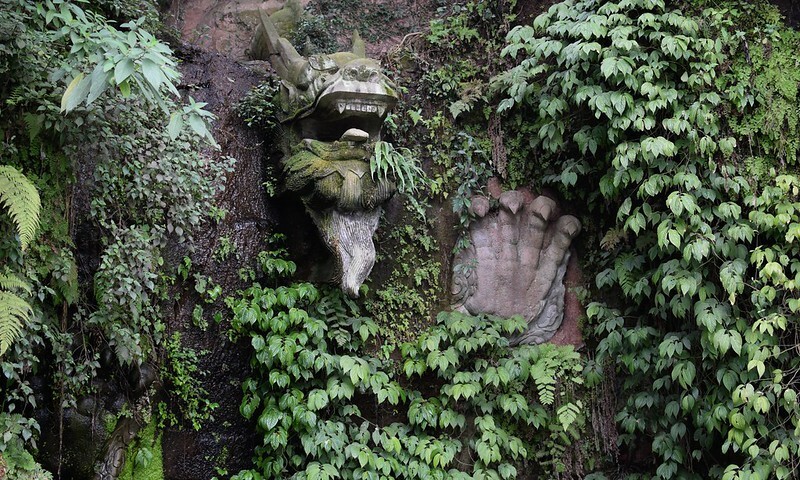 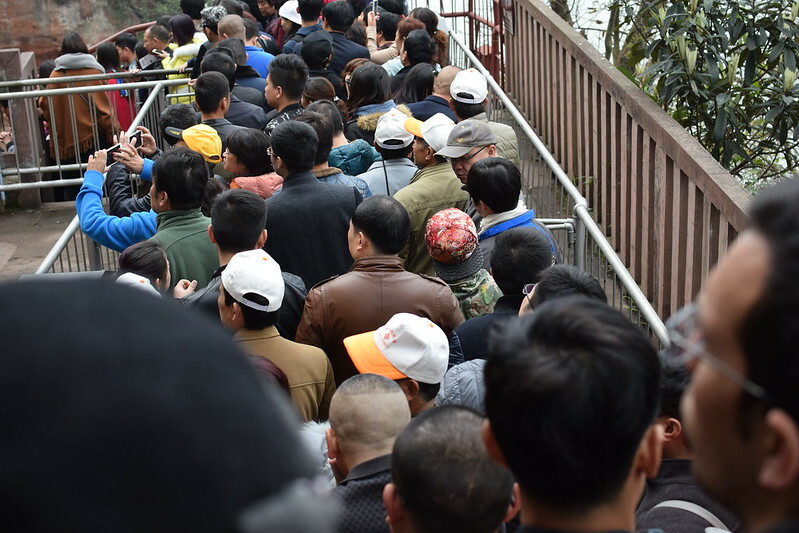 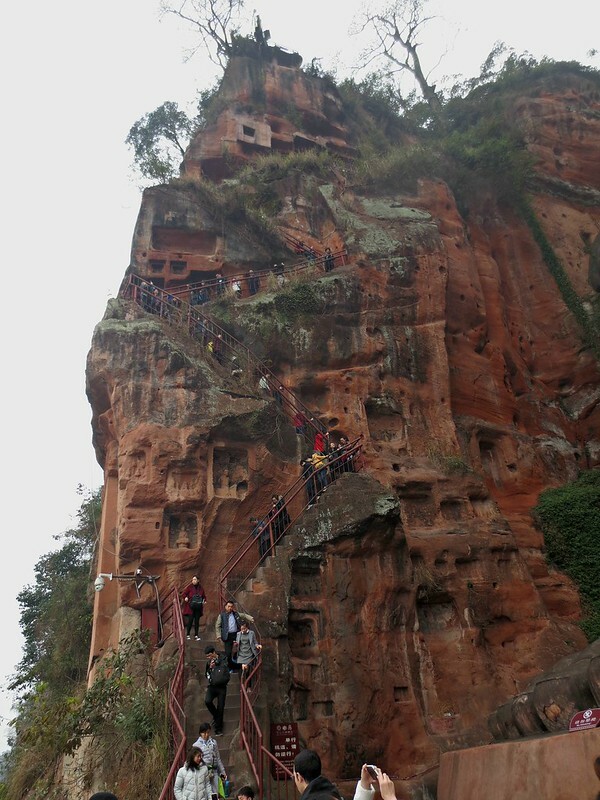 The Leshan Buddha is now an international symbol of luck, and Buddhists and tourists alike make pilgrimage to this site each year to pay their respects. 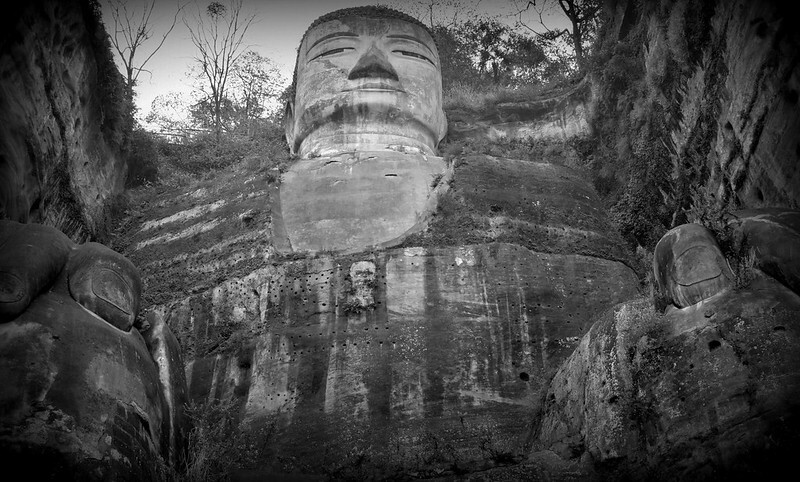 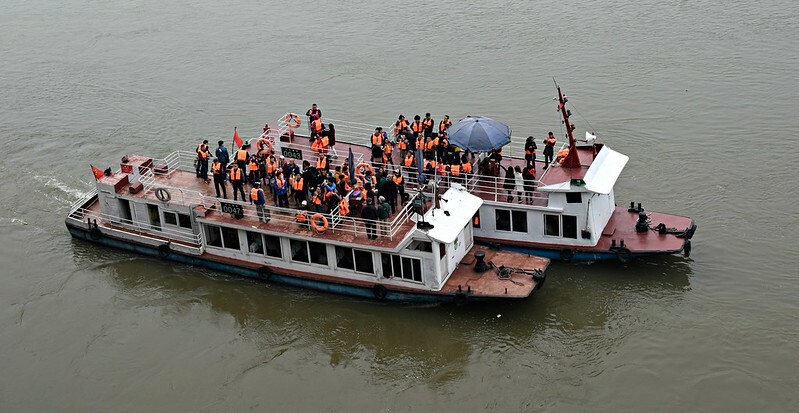 Now, when visiting, people are given the option of taking a cruise to see the Buddha or climbing the cliff for a closer look. 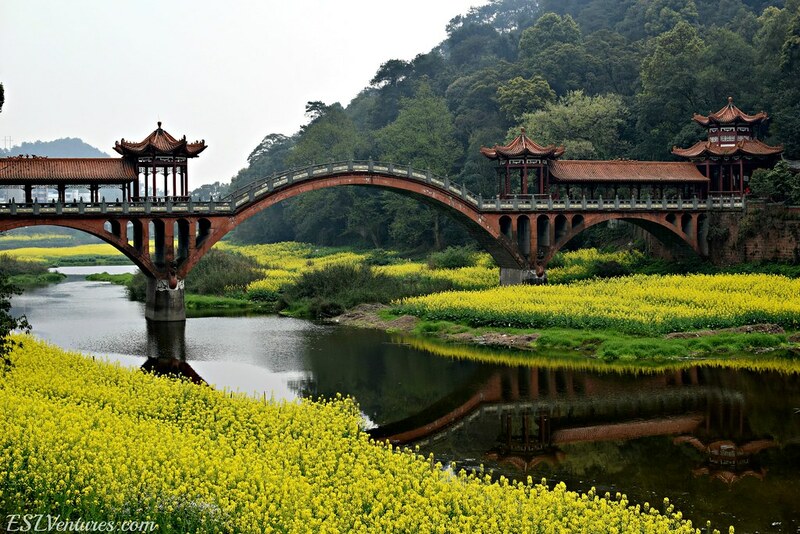 A field teeming with rapeseed flowers, a couple harvesting honey from beehives, and the most picturesque bridge I’ve ever seen. 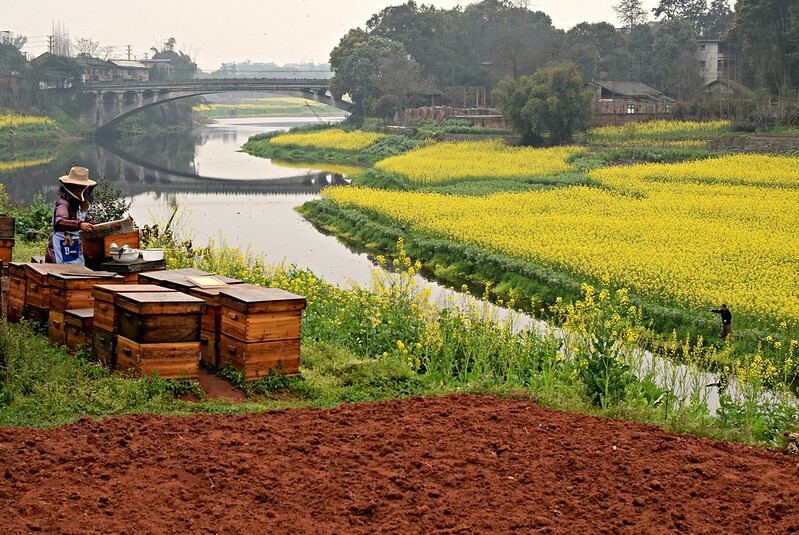 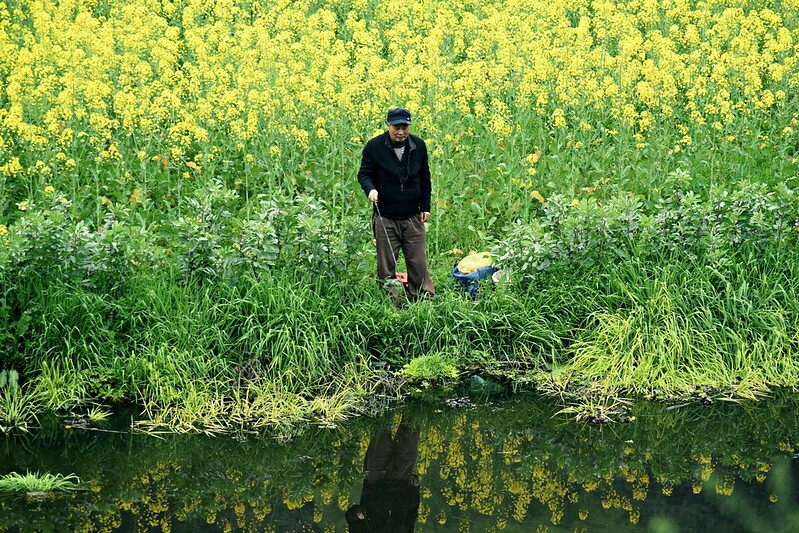 😀 Men were fishing along the river as I walked past local shacks, along a path of rich red soil.